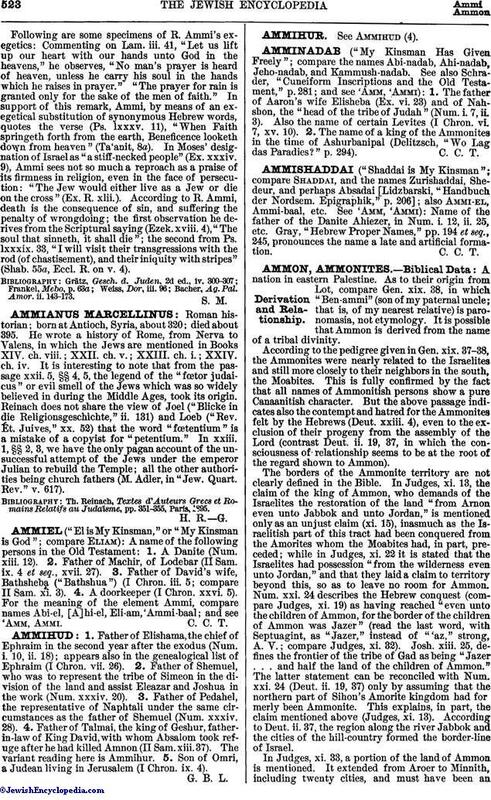 Name of the father of the Danite Ahiezer, in Num. i. 12, ii. 25, etc. Gray, "Hebrew Proper Names," pp. 194 et seq., 245, pronounces the name a late and artificial formation.